It was very exciting for my young Level-1 students to play Holi with their friends ,parents and teachers. Abana over the counter buy benicar. They listened to the the story and learnt why do we celebrate Holi. They sang the poem–Holi aayi and joined level-2 students for the celebration. They smiled and hugged and played with Gulaal. Tablets for resorption purchase motilium of white or almost white color, round. They shared there previous experiences of Holi. They were so confident in identifying the colors of Gulaal in Hindi and had great fun filling water in the balloons and getting the tattoos on their hands. The rang-a -rang program was attended by parents as well who brought some traditional sweets and snacks for everyone. A very special Holi with Hindi related activities was planned and went well. Students played Holi with Gulaal and water balloons. Kids simply enjoyed playing it with water balloons. They all sang the Holi poem. Meera , Sara and Sanjana read Holi story to them. cheap estrace viagra ointment on sale. Parents and grandparents also A?joined this celebration. Students got their Holi Book in which they traced their Rang Birangay hand. Parents were very happy seeing kids enjoying one of the most celebrated festival of India. Colorful Rangoli was prepared by all the students. It was their Art project. Students made Diwali Greeting Cards, read the story on the significance of celebrating Diwali, recited the poem -Diwali aayi. They were dressed in Indian Clothes. amoxil reviews ciprofloxacin 500mg to buy. Vishnu of Level-2 recited shlokas. Small candle lamps were lighted and children enjoyed the homemade sweets and snacks. Independence day of India was celebrated in Cherry Chase in Sunnyvale on January 26th, 2011. All Level-1 students enthusiastically participated in the celebrations. Students enjoyed making the Indian Flag–which was part of their Art project and were dressed in the tricolors of Indian flag. Students recited the poems and enacted with them. Is available wirkung_viagra_generika. cheap zoloft in tablets and an oral solution. One of the students , Shreyas Tulsi mc’ed the program in Hindi. The celebration ended with the singing of National Anthem. All the parents were invited and a small incentive was given to all the students on their wonderful performance. USHA is Hiring Instructors all over America! We are currently seeking new instructors* for our after-school program (Jano Hindi). A teaching credential is not required, but a passion for teaching is! Serious inquiries only, please. Our standards are high. need to buy cytotec overnight. Qualifications: Seeking moms who have taught or who have volunteered in a school environment previously and who are passionate about teaching Hindi. Ideally, they would have children in the school system, so they would be familiar with that system. This is important, because our teaching style and mode of communication is similar to what is used in American schools. Work permit is a must, and finger printing will be required. Bachelors or Masters from a variety of studies is accepted. Training is provided. Additional training is available through the ACTFL (American Council on the Teaching of Foreign Languages), which supports and trains teachers in all foreign languages. ACTFL classes are taught by linguistics professors who train others about the tried and tested methodologies of teaching a foreign language to students of all ages. In the specialized training by USHA, teachers learn more about how to teach students to read, write and speak conversational Hindi at the various eduHindi levels. Teachers learn the various techniques that USHA has discovered in its experience since inception. They also get to know how to handle the various situations that may arise while conducting a class. We are always looking for ways to offer more intensive, targeted training to our teachers! In fact, our teachers have the opportunity to take other training courses across the country. purchase valtrex We give our teachers greater access to expanded opportunities for learning so they can develop their expertise to their fullest potential. The result is better teachers and an enhanced learning experience for our students. All our teachers enjoy teaching with USHA, and they recommend us to their friends. 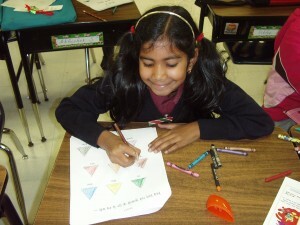 Teachers find that teaching Hindi to all ages is a very rewarding and satisfying experience. Not only that, but they are now a part of the budding Hindi movement in U.S.A.
Come and join USHA! Teach Hindi in any city in the U.S.A.
*We are interested in applicants who WANT to teach children the Hindi language and Indian culture. If hired and you have children, they are welcome to attend our school. Ask about employee benefits. Organization News | USHA Staff March 15, 2011 | Comments Off on USHA is Hiring Instructors all over America! USHA Launches a? ?Camp Jano Indiaa?? June 13, 2011! While our Hindi language and Indian culture camps are nothing new to us (the executive staff has been doing them for many years), we are very happy to announce that this summer wea? ?re offering a more robust camp a?? beginning June 13 and running all summer a?? that offers both language and cultural studies! Each camp runs for one week, though you may decide to enroll your child for more than just one week. We recommend at least two weeks or more. Children of all ages, ethnicities and backgrounds will learn Hindi language in the morning session and Indian culture (in English) in the afternoon to provide a well-rounded learning experience. Because children in grades K through 3 cannot learn reading and writing in a week, we teach conversational Hindi instead of offering language studies. Being exposed to conversational Hindi daily for 2.5 hours is a great opportunity for newcomers to start on Hindi, and for continuing students to practice what they already have learned and to improve upon it. Middle-school children will learn the Hindi language because they may not have had time to attend the HindiforUS classes during the school year. They will have the unique opportunity to catch up on what they missed during the year! For every subsequent week they attend the children will progress to higher levels. This is an awesome opportunity for the students as they will soon be in high school and may not have any time available to spend on Hindi. Used acquire lasix to eliminate water and salt from the body. We want them to acquire as many language skills as they can during summer, so this will be our focus for this age group. Indian culture in the afternoons is conducted in English. A lot of children growing up in the Bay area can benefit from learning about the Indian culture. Indian children will certainly benefit, because even they dona? ?t always know what India is all about or why things are done the way they are. In this camp kids learn a lot about traditions in the Indian culture, such as why we have certain festivals and activities. Parents dona? ?t have time to explain cultural heritage to their children. We feel it is vital to teach about the Indian culture as it helps Indian heritage children to be more confident about their own roots and for non-Indians to understand more about the second largest country in the world (in population). While there are Indian Culture camps elsewhere, Camp Jano India is the first of its kind in the Bay Area. Again, ita? ?s not just for Indian children. This unique camp has something for everyone. We want the children to understand just how diverse India and its Indian culture truly is. For example, we have a lot of festivals throughout the year to celebrate different events and people in Indian history, but todaya? ?s Indian children may only have heard of one or two. At that, they dona? ?t have much understanding of these festivals. We wanted to create a fun camp where the kids could learn both language and culture. USHA has the expertise in both aspects to run a high-quality camp, which the parents expect in the valley. USHA is known for its professional HindiforUS classes and its eduHindi curriculum. The contents and operations of Camp Jano India will be in the same professional and highly interactive and engaging style as our school. Incredible India: where to buy zoloft 25. We cover destinations inside India, its architecture and monuments, and more. In this part we take the view of India as a traveler, which makes learning even more fun. Celebrate India: Cheap diarex pills In this section, we cover why and how celebrations happen, sharing the stories behind the celebrations and the Indian people. I Love India: In this fascinating journey into ancient India and its people, we go more deeply into our Indian heritage. The children love to learn about the struggle for freedom that our Indian ancestors had to go through to bring us where we are today. Once an Indian child understands more about his/her cultural heritage, it becomes a point of pride. We see this in the kids we teach year after year, and it makes our hearts sing! Children who are not of Indian descent still find that learning about another persona? ?s culture is very interesting. generic fluoxetine For example, they learn that Yoga comes from India and that some dice games were played thousands of years ago in India, where the people lived in civilized groups. All the children enjoy learning how to play these games at camp, too! We live in a very diverse world with many different peoples and cultures. World history is taught in our schools, and some cross-cultural history is also taught, but not much is said of Indian history. For example, how many children know that the British ruled India for 200 years? This is interesting to them, and by giving them a fuller history lesson a?? one that includes Indian cultural information a?? the children gain a better perspective on peoples of other cultures and a much wider view of the world. Enroll Early! These generous discounts will be reduced on April 1! Organization News | USHA Staff | Comments Off on USHA Launches a? ?Camp Jano Indiaa?? June 13, 2011!